Cold dark days call for quality time and comfort food! 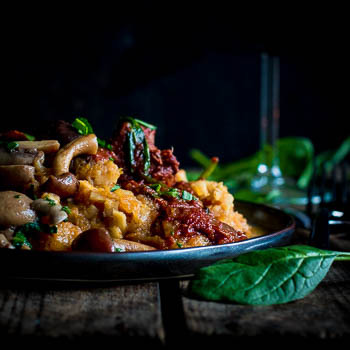 This wild hog ragout is the excellent meal for a cozy evening with the ones you love. A ragout with cinnamon spiced tomato sauce leading to a warm cozy feel. Served with a good glass of wine, or why not, a delicious beer? While eating I realised this recipe had a festive touch making it a delicious idea for the holidays! Would you serve this for christmas? My wife played “safe” with a delicious red wine. She picked the “Chateau-neuf-du-pape 2016”. 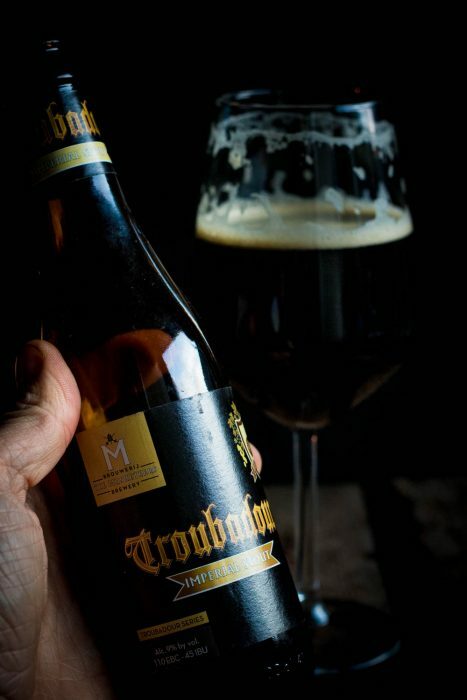 Lately I’m experimenting wit beer pairing and picked the “Troubadour Imperial Stout” a delicious belgian stout by “brouwerij The Musketeers“. A stout beer with subtle hints of coffee and chocolate. Two ingredients combining well with a tomato sauce (remember this delicious chili recipe?). These flavors complement the ragout and are powerful enough to beat up against this hearty warm wild hog ragout. 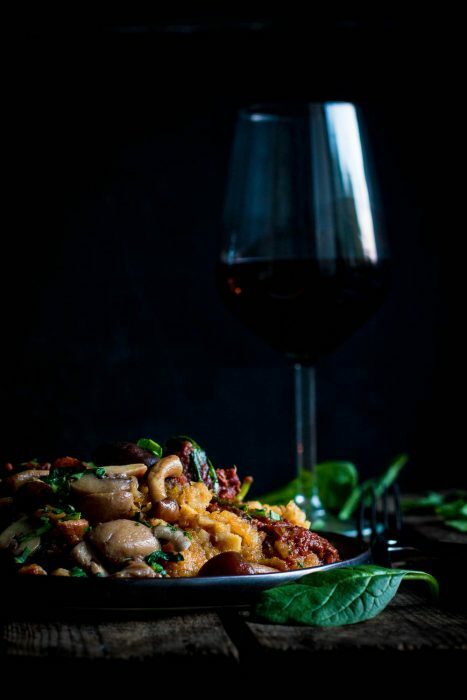 So tell me, what would you pick to accompany this delicious Wild Hog Ragout? Would you stick with the red wine? Or would you try the experimental “Beer Pairing” and try a stout to drink with it? Anyway if you ask me no matter what combination you make it still tastes festive! Making it a perfect christmas meal! Will it make your menu? 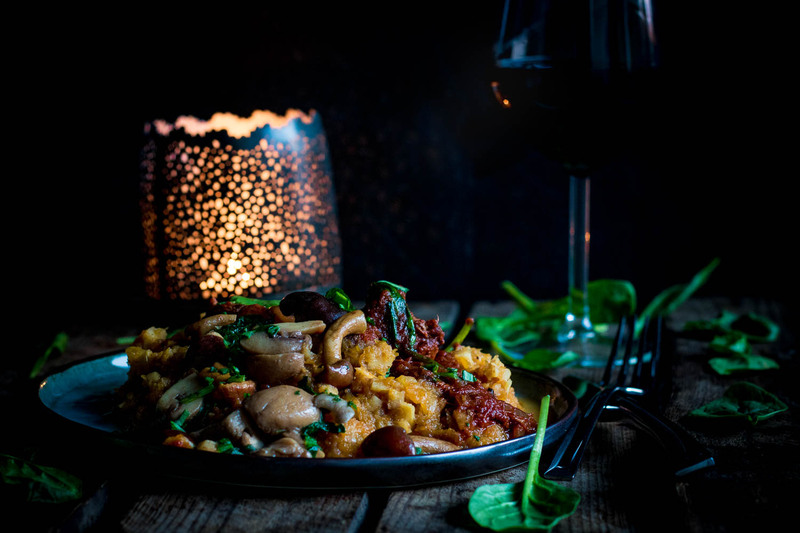 The warm and hearty touch in this wild hog ragout makes it a perfect meal for a cozy dark night. Warming up from a cold walk with a sip of beer/wine. Pure pleasure isn't it? Put a cast iron pot or dutch oven on top of an open fire and add 1 Tbsp of olive oil. Once the oil is hot it's time to add half of the wild hog spiced with salt and pepper to cook until golden brown. Repeat this tep with the other half. Put the browned pieces of wild hog aside and add the shredded onion to the dutch oven until it's cooked translucent. Add 2 Tbsp of cinnamon and 2 bay leaves and let cook for a couple of minutes. Quench with red vermouth and wild game broth. Add the canned tomatoes and concentrated tomato paste. Let simmer for about 10 minutes. Once the meat is starting to fall apart you can add the spinach. Finish with salt and pepper at taste. Add a half Tbsp. of vinegar to empower the flavors of your stew. Taste and add some more ingredients at taste.